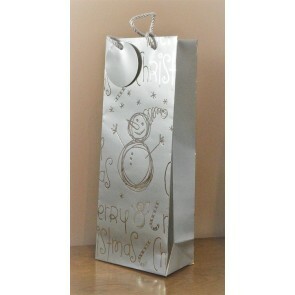 88124 - Merry Christmas Silver Snowman Bottle Bag & Tag!! 88123 - Red Merry Christmas Holly & Bauble Bottle Bag & Tag!! 88122 - Red Merry Christmas Bottle Bag with Santa Tag!! 88121 - Green Merry Christmas Bottle Bag with Snowman Tag!! 88120 - Sparkling Merry Christmas Glitter Baubles Bottle Bag & Tag!! 88133 - Wine, Grapes & Bottles Decorative Pouch Drawstring Bottle Bags! !